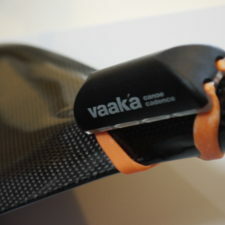 Why use a Vaaka Cadence sensor? Ready to go straight out of the box. 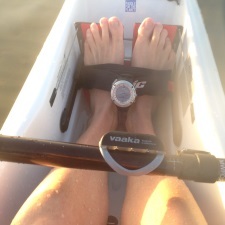 Simply attach to your double or single bladed paddle shaft providing real-time stroke rate feedback to your watch. At Vaaka we are all about providing real-time stroke rate data on the water and post training analysis of stroke rate and distance per stroke. Our aim is to give you the technology you need to reach your peak performance. stroke rate data is displayed on ANT+ or Bluetooth compatible GPS devices and smartphones. stroke rate is logged alongside GPS data, time, speed, heart rate and distance. specific realtime feedback during training and post training analysis. Free Vaaka Analytics software for stroke rate and distance per stroke analysis. Because boat speed is a product of stroke rate and distance per stroke these are the two most important metrics to measure and manage for improved performance. 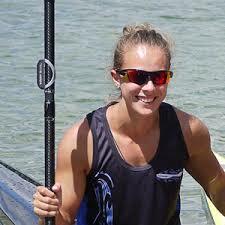 Vaaka sensors allow athletes and coaches to see stroke rate data during training. Post training analysis using Vaaka Analytics software will automatically calculate distance per stroke making it possible to measure and monitor improvements in performance.